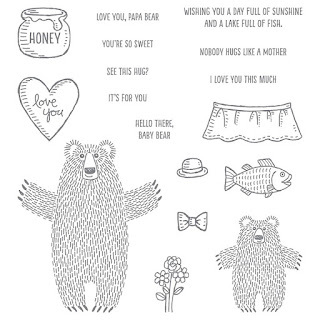 Today's project is the final part of my Bear Hugs trilogy. 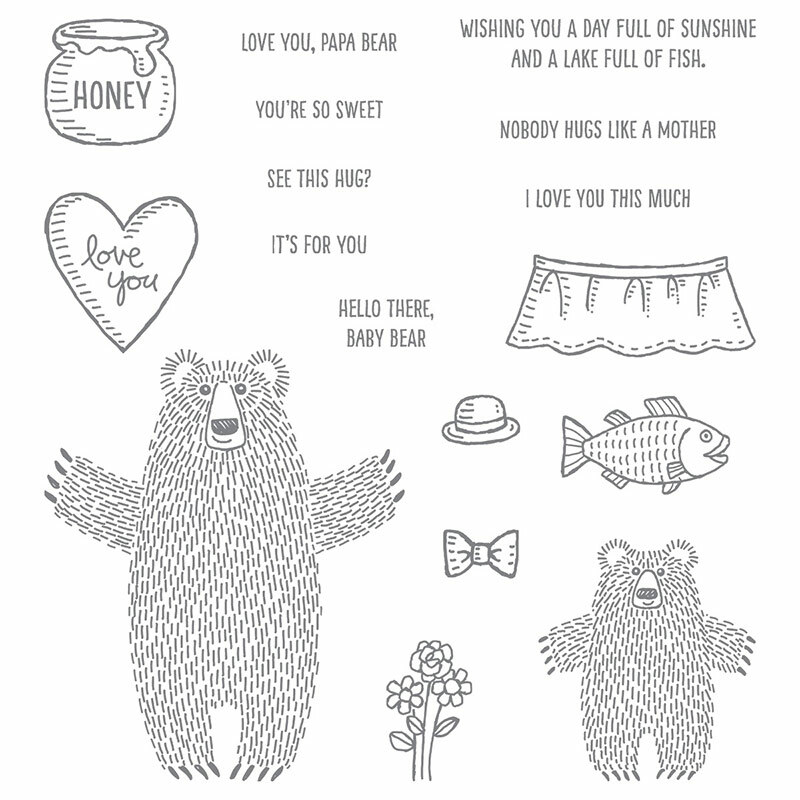 The Bear Hugs stamp set (also available in Clear Mount) is one of our Retirement List items that's not going to be carrying forward into the new Annual Catalogue (released 1st June 2017). This means it is only available for a limited amount of time while it is still in stock. 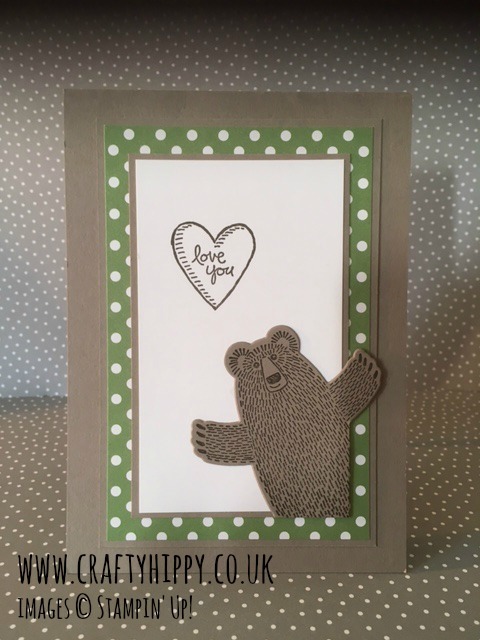 The co-ordinating Bear Hugs Framelits Dies are also retiring, and they're currently reduced in price so grab them while you can! Unfortunately this paper has sold out but you could use any combination of our beautiful papers for your project... some of which have also been put on the Retirment List and are reduced.